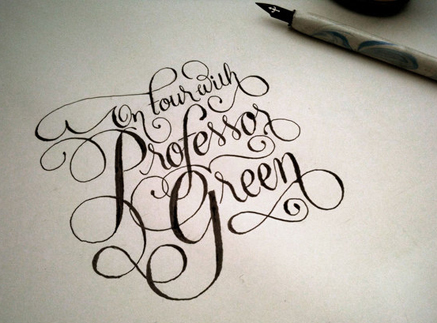 Here is a terrific calligraphy project from Jacksonalves of Brazil, commissioned by of all people, Nuts magazine. Jackson has posted all stages of the work, but also a fine video showing how he mixes the best of old and new calligraphy tools. As this commission shows, Simon Freeborough and Barney Hammond design Nuts with with real skill and flair. It’s not a formula, they’re always pushing it, always trying something new. Good work. IPC’s Digital Director Kevin Heery has kicked off a brand new blog about Lean development within big companies. Appropriately named leanandlarge.com, it promises real insight into how we can change the culture of large media businesses to incorporate Lean principles. It’s irreverent, funny, must-read stuff. Mashable has a superb interview with Marcos Weskamp, Flipboard‘s head of design. Thanks to magculture for the link. Joe Kraus is an early internet pioneer, co-founding excite.com in 1993. He’s now a partner at google ventures, where clearly he’s spending a lot of time looking at his phone. Hence this excellent post explaining our addiction to it, and how to cope with the culture of distraction we’re creating for ourselves.